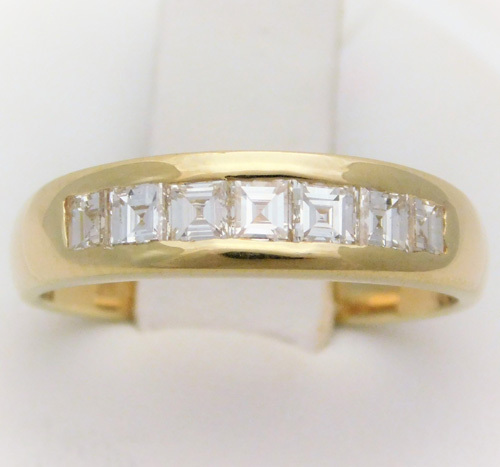 LADIES: All of our ladies wedding bands are custom-made. As we stated under ENGAGEMENT RING MOUNTINGS, we handpick the diamonds that go into the band in order to match the color and clarity of the diamonds in the engagement ring mounting. 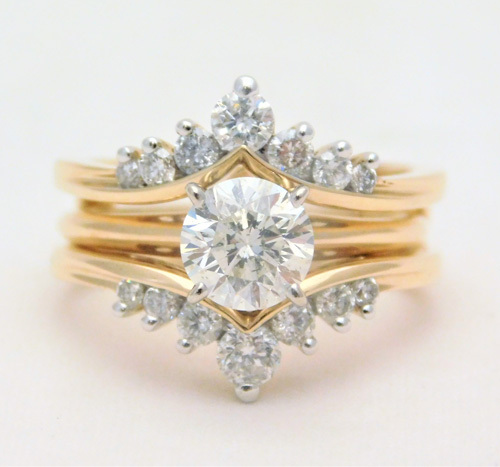 We also make sure the wedding band matches your engagement ring mounting. GENTS: Most gents select a plain, comfort fit band made from 14kt yellow gold, 14kt white gold, or platinum. The width of the band is measured in millimeters. We carry the premier line of gent’s bands. They are very solidly made – never hollow. 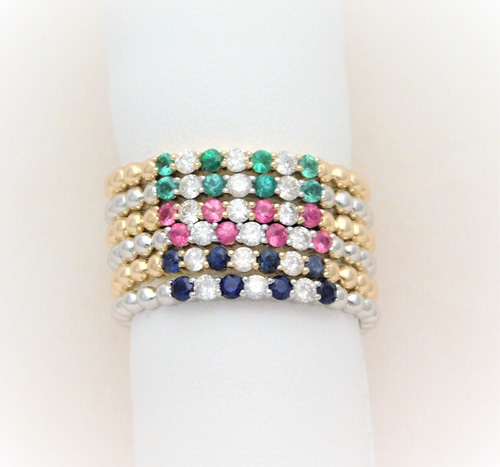 Of course, if you want something different, with or without diamonds or gemstones, NO PROBLEM! All we need is a picture of what you want, or you can select from the hundreds of examples we have. Schedule an appointment to size your band today!